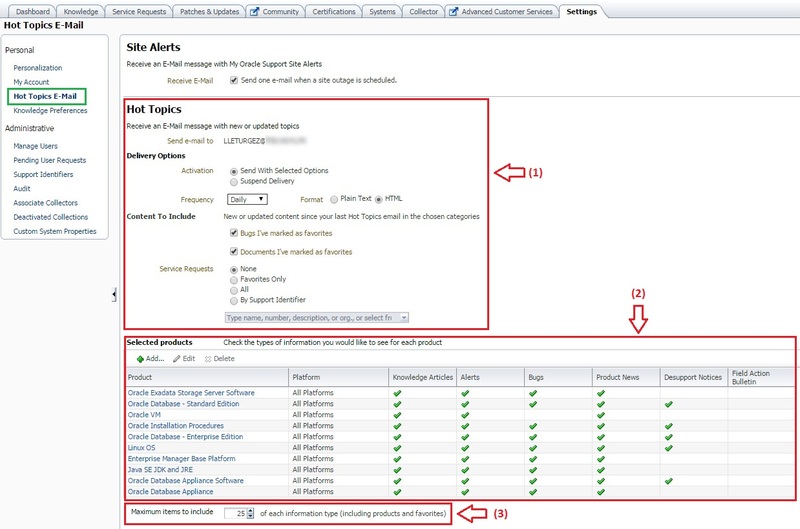 This post is related to My Oracle Support (MOS) and one of the features every DBA has to configure is the Hot Topic email. This feature will send you an email every day ou week (depending on how you configure it) with all the new stuff published or updated on MOS (Knowledge base article, bugs, alerts …). Of course, you can filter on the products you want to subscribe and select the number of items you want to receive by category.